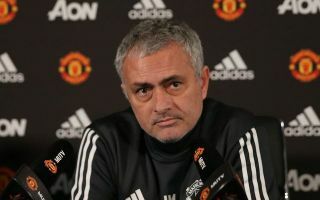 Manchester United boss Jose Mourinho expressed his admiration for Memphis Depay following his display against Man City, before hinting at his return. The Dutchman played for United between 2015 and 2017 but failed to establish himself in the first team at Old Trafford under Louis Van Gaal or Mourinho. Depay made 53 appearances in total for the Red Devils, scoring just 7 goals and was ultimately put out of his misery in England when the club decided to sell him to Lyon in France last year. However, the winger’s fortunes have improved exponentially since his switch to Ligue 1, as he has managed to hold down a regular spot in the starting XI and reproduce his best form to help the club fight for domestic trophies. The 24-year-old’s recent career resurgence came full circle on Wednesday night, as he featured from the start against Manchester City at the Etihad during Lyon’s shock 2-1 Champions League victory, much to the delight of United fans. According to the Mirror, Mourinho fielded questions about the Dutch international on Thursday, specifically referring to the buy-back clause in his contract with the French side which gives United the chance to re-sign him in the future. “I think when Mr Van Gaal decided to buy him he did well, he knew him very well from the national team, he was very young when at the World Cup he had flashes of top quality,” said the Portuguese boss. “He was playing well in Holland, we know the Dutch league is not the same but he was showing very good things. Mourinho’s men won their first European fixture of the season on Wednesday night too, beating Young Boys in Switzerland 3-0 thanks to a brace from Paul Pogba and an Anthony Martial strike. United have also picked up back-to-back wins in the Premier League to bounce back from their sluggish start to the new campaign and supporters will be expecting them to continue their climb back up the table with another win against Wolves on Saturday. If Depay can keep delivering the goods for Lyon in the coming months, he might just get a second chance at Old Trafford in the near future, but in the meantime, the current crop of players in Manchester need to stay focused as they chase trophies on all fronts.